Jeep Wrangler JK Heavy Duty Ball Joint Set. Also Fits: Jeep Grand Cherokee (WJ) (1999-2004). The “Heavy Duty” description is more than accurate with these ball joints. The newly designed joint is leaps ahead of the OE plastic bushings plagued with premature failure. These HD Ball Joints were manufactured with sintered metallic bushings. This new bushing is highly resistant to wear and damage. The assembly is greasable to extend the life of the already durable bushings specifically engineered for vehicles with larger tires, lift kits, and heavier accessories. They install without any fabrication or modification to the factory mounts using tools that can be purchased or rented at a local parts store. The HD Ball Joints are also backed with an industry leading 12 month warranty. 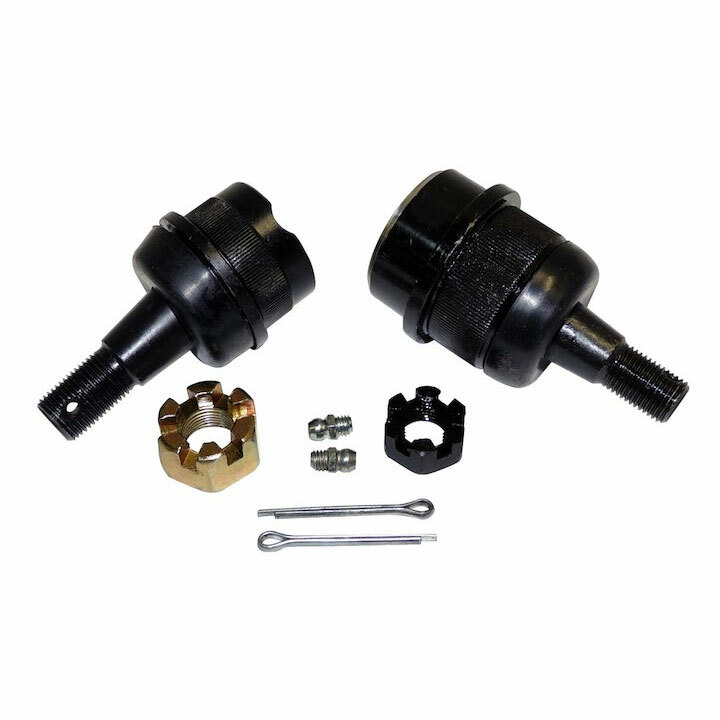 Each set includes one upper and one lower Ball Joint with all required hardware needed for installation.